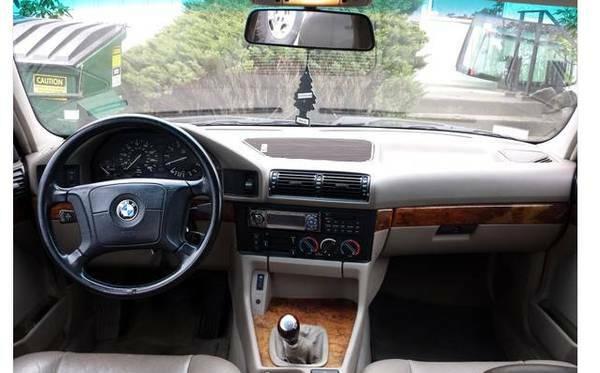 While you can argue that the transition from E12 to E28 and E34 to E39 5-series BMWs were more evolutionary, the difference between the E28 and E34 models is quite significant – they went from being a relatively light-weight, luxury oriented sports sedan, to a more solidly built sedan where sport and luxury were at parity. 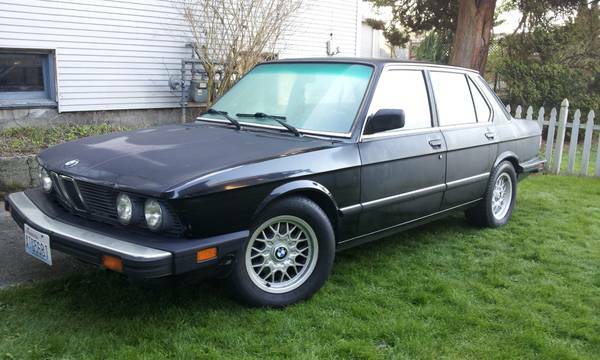 As it happens, there’s an interesting example of each for sale right now, so let’s take a look – first up is this 1987 BMW 535i for sale for $2000 in Seattle, WA. 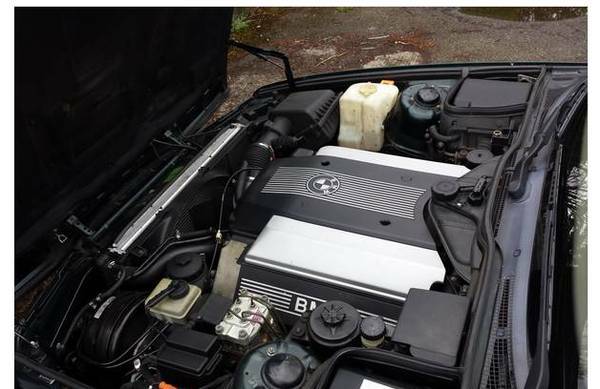 This is still from the austere era at BMW – you could have any engine as long as it was a straight six, the back seat couldn’t accommodate full-grown adults, and you’d better like rear-wheel drive. The seller talks this one down a little, at least in the aesthetic department, so maybe the pictures make it look better than it is. In any case, it’s had a decent amount of work done to it, including new front brakes, driveshaft, battery, front upper control arms, and windshield/gasket. Some of the luxury accessories like stereo, air conditioning, and basics like the tachometer and odometer have failed. Compared to some of the more sun-baked examples out on the market, it really looks quite decent for the price. The E39 wheels aren’t the best, but better than some of the other BMW-original wheels, and there’s no mention of indicated miles – perhaps an online VIN check could give an indication at least. On the other hand, these cars are known for their longevity, and at this age, perhaps the more relevant consideration is the overall condition of the car. 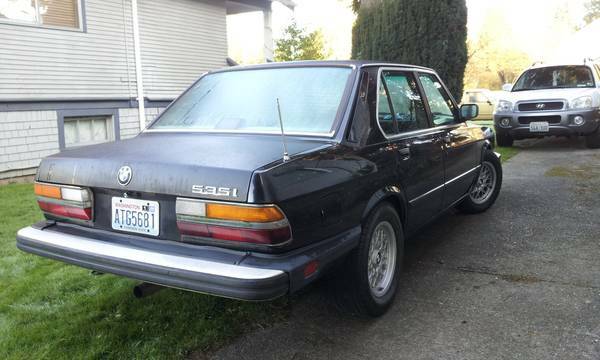 But if no mileage indication is too risky for you, check out this 1994 BMW 530i for sale for $3400 in Snohomish County, WA. The seller of this car lists three different mileages, from 155K in the title, to 159K in the body of the listing. 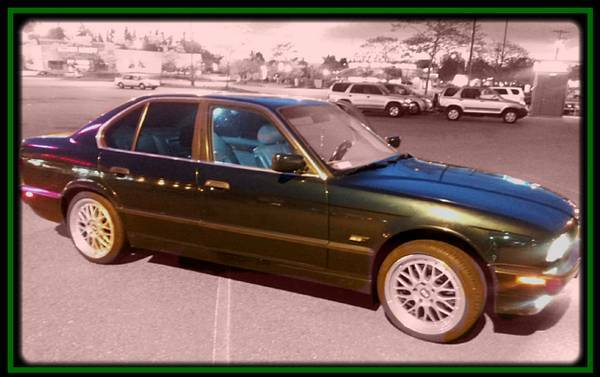 These metallic greens are typical for a mid-90s car, and while the wheels look decent, there’s too much of a gap in the wheel wells – perhaps some higher-profile tires or slight lowering would improve things, or something OEM from an E38 7-series. The exterior looks to be in decent condition, and the seller mentions the interior is excellent. What’s visible in this shot is pretty good, but the best part is the manual shifter. Sure, these M60 V8-powered cars have about the same power and torque as the 3.5-liter inline six, but doesn’t a small part of you equate 3-liter V8 with Italian supercars? Sure, this is no Ferrari, but happy sounds at high RPMs seem likely – does anyone have real-world experience with this? As with the rest of the car, the less-than-close-up engine compartment indicates a well-cared-for car. So while this is a BMW oddball, that’s often where the value is – you’ll never see an increase in value like an M5 or a 540i, if that will ever happen, but it can still be a fun car to drive and priced reasonably well compared to some of its siblings. So which 5-series would you pick – sporting E28 or sport-luxury E34? This entry was posted on March 11, 2015 at 1:08 pm and is filed under Feature. You can follow any responses to this entry through the RSS 2.0 feed. You can leave a response, or trackback from your own site.